Your engine’s combustion chambers have pistons that rise and fall as the engine runs. Each piston is connected to the crankshaft by a rod, which turn the crankshaft as the pistons go up and down. The crankshaft then gets your vehicle’s wheels turning, while the intake and exhausts valves release the fuel/air mixture from the combustion chamber and out the exhaust. 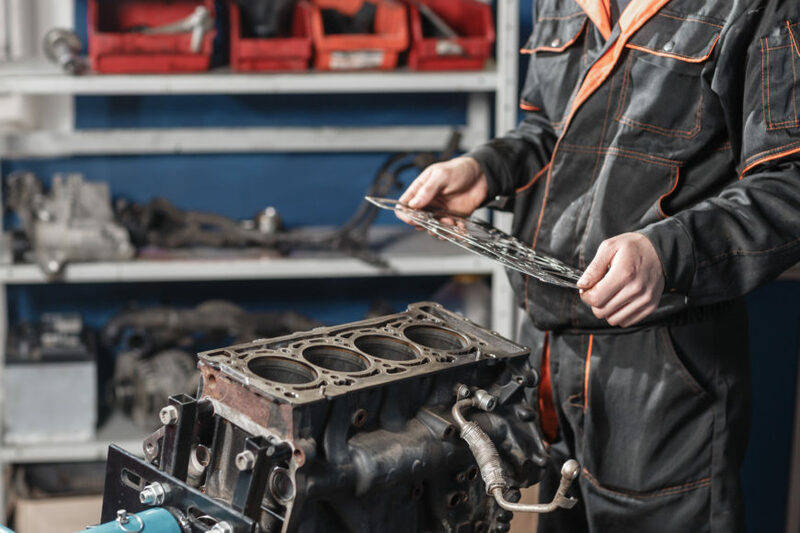 Your head gasket is located between the engine block and cylinder heads, playing a vital part in the function of your vehicle’s combustion chamber – helping seal the area and avoid engine oil or coolant from leaking into the cylinders. Locally owned and operated in Sherwood Park since 1979, Park Muffler Radiator Brakes & Tires auto repair centre has the capacity, equipment, and expert gasket technicians to offer a comprehensive inspection and diagnosis of any intake or head gasket problems you are experiencing – repairing and replacing any necessary components, often while you wait. Car and Truck servicing and maintenance work on your gaskets will extend the life of your vehicle considerably, helping you avoid the extensive damage that results from corrosive leaks, pre-ignition or detonation, and an overheating engine. Park Muffler Radiator Brakes & Tires will ensure we fully inspect and service your gaskets and other combustion chamber components, repairing and halting any developing damage. Bring your vehicle into our auto service centre, conveniently located in Sherwood Park, close to Edmonton, or call our friendly team, to deal with any gasket-related issues you’re experiencing, quickly, affordably, and professionally.